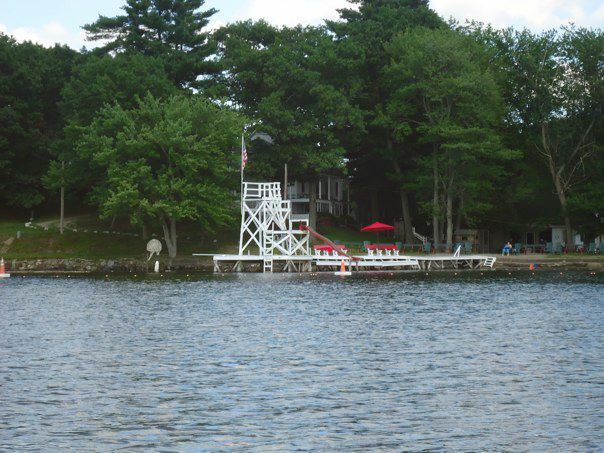 Sunset Beach has been a family owned and operated facility since the late 1940s. We are located on the southern end of Lake Quinsigamond right in Shrewsbury, Ma. Whether you enjoy lounging and reading a book while enjoying the summer sunshine, or jumping off 20 foot towers, there is something for everyone at Sunset Beach. We also offer non-motorized boat rentals if you want to explore some more of the lake. We have many picnic tables, so come and enjoy a family picnic. There also is an old-fashioned snack store that sells all kinds of tasty treats! To discover what other fun things there are to do here, visit our Activities page.